Discussion: Pure Magnesium Flakes are highly-concentrated crystals of magnesium chloride sourced from the ancient Zechstein seabed in the Netherlands—nothing added and nothing removed. The magnesium flakes are extremely pure because the seabed lies 1,600 to 2,000 meters beneath the surface of the earth where it has been protected. 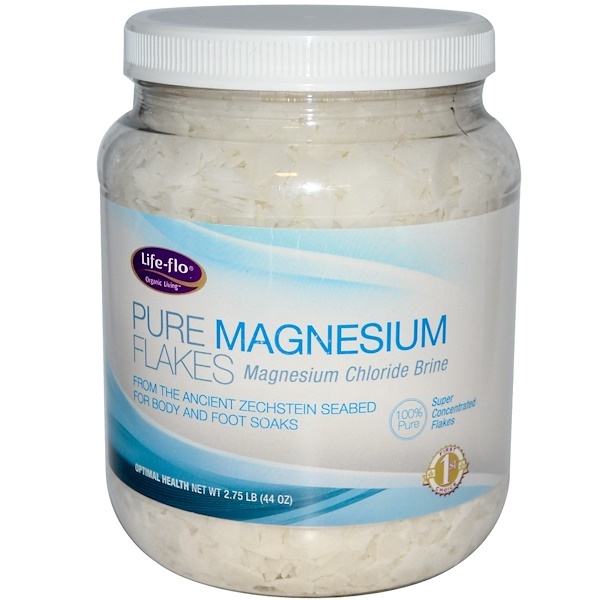 Refresh your body and mind by using Pure Magnesium Flakes in a full bath or foot soak. For relaxing your body and mind, we recommend you put 1-2 cups (8-16 ounces) or more in the bathtub or footbath, and then soak for a minimum of 20 minutes. 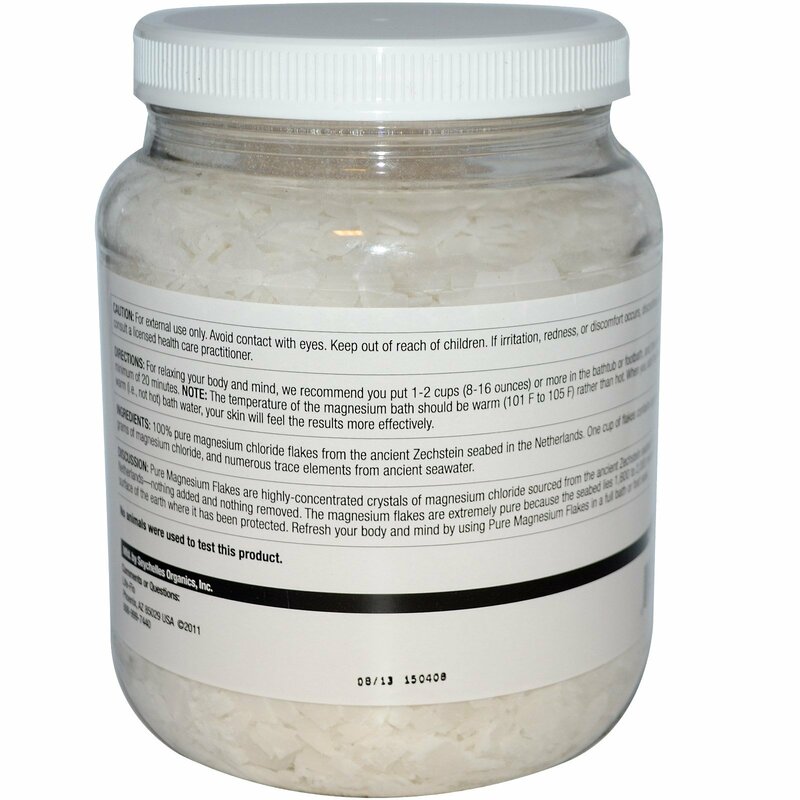 Note: The temperature of the magnesium bath should be warm (101 F to 105 F) rather than hot. When you add the flakes to warm (i.e., not hot) bath water, your skin will feel the results more effectively. 100% pure magnesium chloride flakes from the ancient Zechstein seabed in the Netherlands. One cup of flakes contains approximately 51 grams of magnesium chloride, and numerous trace elements from ancient seawater.